Rumi Forum and faith leaders discussed the challenges and lessons of Christianity in America. On March 22nd, panelists presented their own narratives and facilitated strategical interfaith applications for the community. Speakers included Joel Rainey, lead pastor of Covenant Church in Shepherdstown West Virginia, Brian Hamilton, co-pastor of Westminister DC and former professor of sociology in addition to Patrick Carolan, executive director of the Franciscan Action Network and co-founder of the Global Catholic Climate Movement. The event was moderated by William Dinges who shared his expertise in religion in America. Joel Rainey, lead pastor of Covenant Church in Shepherdstown West Virginia, located in the tri-state area of Maryland, West Virginia, and the NOVA/Washington DC area. The author of three books, Dr. Rainey is a former missionary and evangelical denominational executive with intercultural experience on 5 continents. He has led efforts to plant more than 100 new evangelical churches in the US and around the world. He lives in Shepherdstown with his wife Amy and their three children. 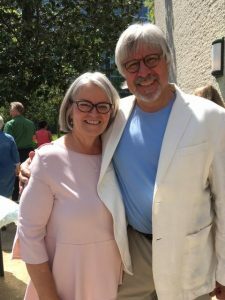 Brian Hamilton, co-pastor of Westminster DC with his partner Ruth was ordained on Sept 9, 1992, and has served parishes in Philadelphia, Detroit, and Westminster. He’s a second-career pastor, working before as a sociology professor and community developer. Brian grew up in Princeton, Maine. He received his BA in Sociology from Eastern Baptist College. He received his Master of Divinity from Union Theological in New York City. 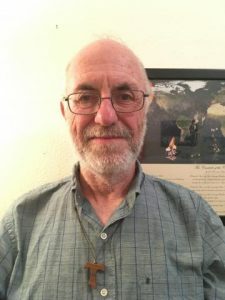 Patrick Carolan, has been executive director of the Franciscan Action Network since 2010. He is also a co-founder of the Global Catholic Climate Movement, an organization working on global climate justice issues as well as Faithful Democracy, a faith coalition focused on the issue of Money in Politics, working to educate on the corruptive influence of big money on our democracy. He is a recipient of the 2015 White House Champion for Change Award for his work in the Climate Change arena, a Senior Fellow at the Center for Earth Ethics and is personally dedicated to social justice to bring about individual and societal transformation. William D. Dinges is an Ordinary Professor of Religious Studies in the School of Theology and Religious Studies and a fellow of the Institute for Policy Research and Catholic Studies at The Catholic University of America. He received his Ph.D. in American Studies in 1983 from the University of Kansas. He has been on the faculty at Catholic University for the past thirty-one years. Dr. Dinges’ research interests include a variety of religion and culture topics: Religion in America (Catholicism in particular), religious movements, religion and globalization, fundamentalism, and religion and ecology. 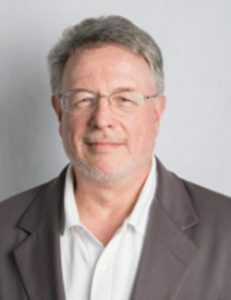 He has published articles on these and related topics in Sociological Analysis, U.S. Catholic Historian, Journal of Contemporary Religion, Religion and American Culture, The Way, The Living Light, America, Commonweal, and in other scholarly and popular journals and anthologies.